Our services come in handy when any customer is in need of some urgent funds transfer to another individual far away from him. We make sure that the transaction takes place in the most secure way. 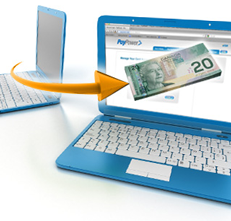 The customers can make use of our wallet transfer funds to another person's account. Just a set of few simple steps needs to be followed in order to make this easy transaction happen. Both the sender and recipient both need to have accounts on our domain to make use of this facility. The transaction charges that are levied are very minimal. You can easily send money and we promise to protect it until it reaches the other end.